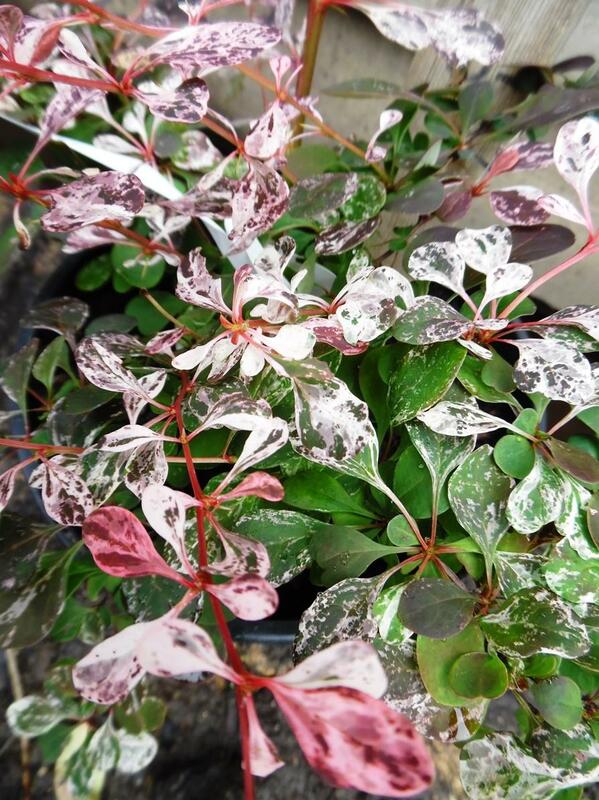 Berberis thunbergii Flamingo is a deciduous upright variety with intense pink and white colour. The young leaves and shoots are very similar to the colour of a flamingo turning to soft red with age. Produces decorative fruits in autumn. Very similar to Harlequin but with a more intense pink colour. Eventual height up to 2 metres with a spread of up to 1.5 metres.